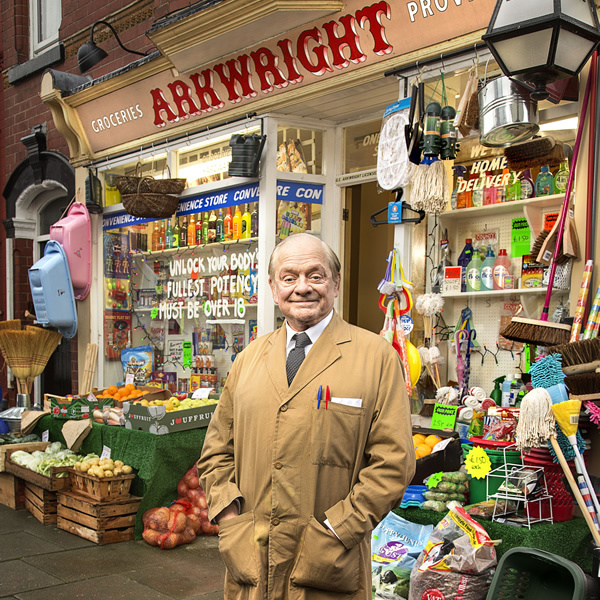 Some 45 years after Sir David Jason first set foot into Arkwright’s convenience store, Still Open All Hours has been commissioned for a 5th series which will air later this year on BBC One. 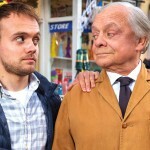 Jason will return in the role of Granville who inherited the shop from the miserly Arkwright, played by Ronnie Barker. 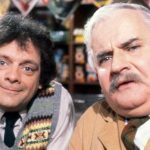 Granville was Arkwright’s nephew and long-time assistant in the original series, Open All Hours, which ran on the BBC from 1973 to 1985. Barker, who was one half of The Two Ronnies with Ronnie Corbett, passed away in 2005. In addition to Jason, series five which will also feature the return of veteran cast members Stephanie Cole (Delphine Featherstone), James Baxter (Leroy), Maggie Ollerenshaw (Mavis), Brigit Forsyth (Madge), Johnny Vegas (Eric), Kulvinder Ghir (Cyril), Sally Lindsay (Kath), Katie Redford (Beth), Geoffrey Whitehead (Wilburn) and Tim Healy (Gastric). Upcoming episodes in series 5 which will, once again, be brought to life through the brilliant scripts of Roy Clarke, will see Granville trying his best to unload a surplus of cheaply-made eyeglasses, and Mr. Newbold (Whitehead) and Mrs. Featherston (Cole) finally coming clean about their true feelings for one another. Clarke, who turned 88 this year, wrote every episode of the original Open All Hours, all 295 episodes of Last of the Summer Wine and all five series of Keeping Up Appearances. 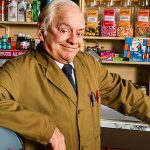 With series 5, Still Open All Hours will surpass its predecessor, Open All Hours, in both number of series and episodes when the series begins filming this Summer for transmission later in 2018 on BBC One. Hopefully, an American public television broadcast will not be too far behind. 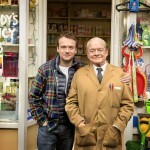 Arkwright’s remains open as series 6 of ‘Still Open All Hours’ is confirmed!